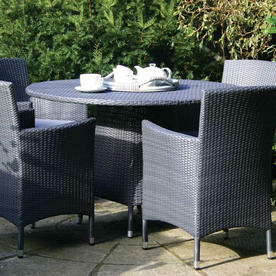 Classic colonial style outdoor furniture for sitting and enjoying the garden on long summer days. The Tarn is a range of fully woven dining tables in a synthetic weave, the tables are lightweight and stylish and available in three sizes. The tables lend themselves to simple tea for 2 or summer supper parties in the garden for 6 or more. 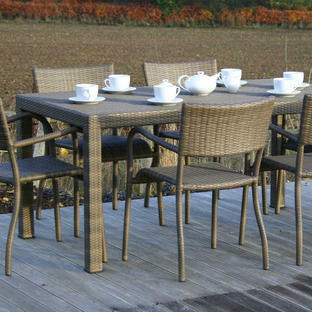 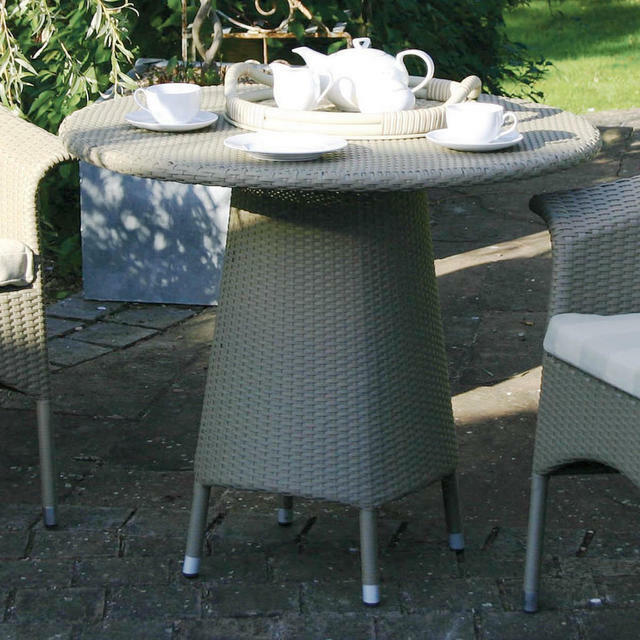 The table is perfect for a number of locations including conservatory, garden rooms and patios. 90cm table will seat 2 to 4 people. 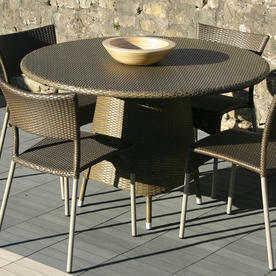 120cm table will seat 4 to 6 people. 150cm table will seat 6 to 8 people. 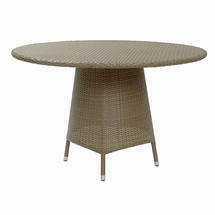 Optional glass tops are available and a Lazy Susan for the larger 150cm table. 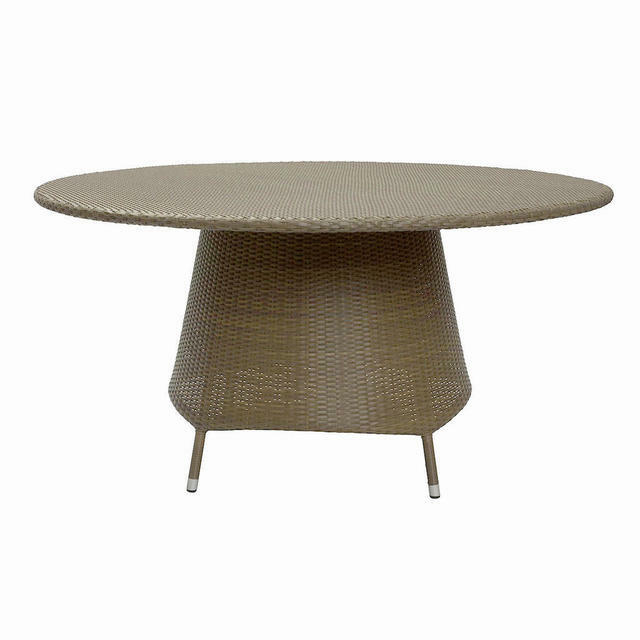 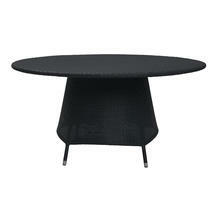 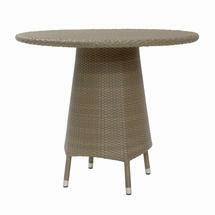 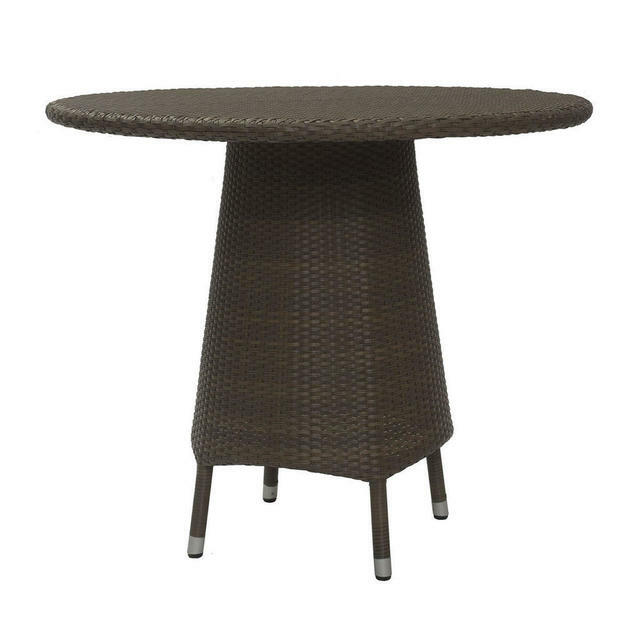 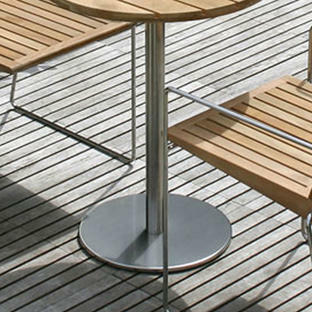 The 120cm and 150cm table sizes have a parasol hole in the table top. Optional glass tops are available for the tables. 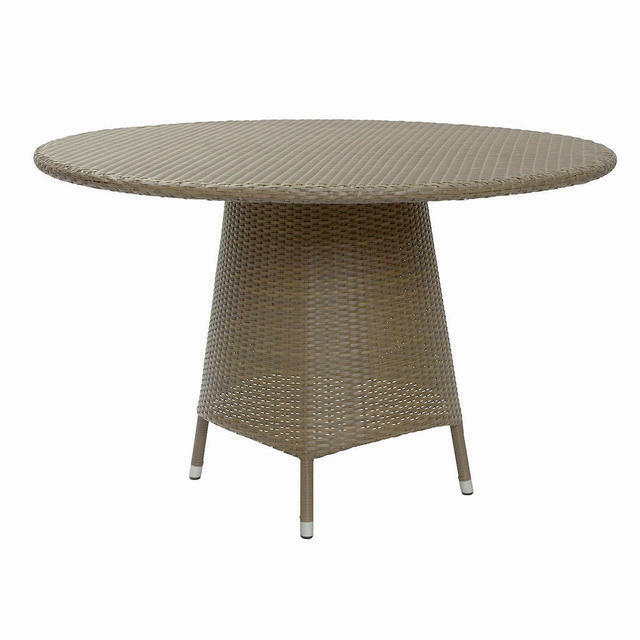  Sandblasted glass Lazy Susan on a rotating aluminium frame is available for the 150cm table. 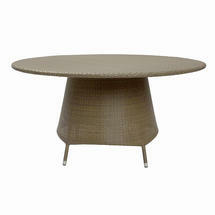 The Lazy Susan sits 4cm above the height of the glass table top.